Although Hondas are well-known for being reliable and easy to maintain, they are still just as susceptible to standard car issues as any other brand. Thus, if you want to make sure that you’re keeping your Honda in excellent condition, you may want to invest in an OBD2 scanner. These devices ensure that you can stay on top of issues when they arise. Whenever your check engine light comes on, you can diagnose the problem and figure out the best course of action. These scanners save you a trip to the mechanic (and the bill that comes with it). 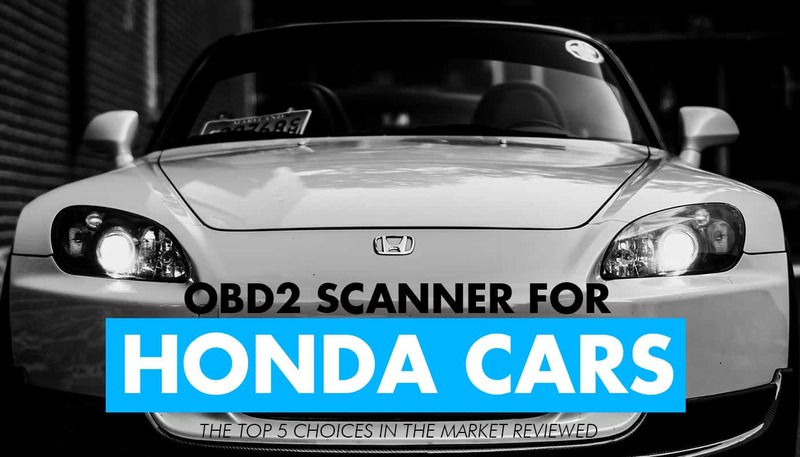 Today let’s look at the best OBD2 scanners for Honda vehicles and see how they can help you manage your car. When OBD2 scanners first came out, they were small, handheld devices that did little more than tell you the corresponding error code for your vehicle. Fortunately, today you can buy models that are much more comprehensive, like this one from Autel Maxidas. The DS808 is one of the more advanced models that the company makes, and this scanner will make it super easy to figure out what’s going on underneath the hood. Let’s take a look at what it can do. One of the primary benefits of getting an Autel Maxidas scanner is that you get a large, seven-inch tablet on which to do your work. The size and simplicity of the screen and corresponding layout ensures that you can work faster and more efficiently. Since you can navigate through the menu more easily, you can find what you’re looking for in less time. Also, because it comes with codes for most foreign and domestic makes and models, speed and efficiency are instrumental when having to sift through them to find your vehicle. Another thing that’s great about the DS808 is that it does more than just diagnose a check engine light. Several apps come installed onto the tablet that help you stay on top of car troubles before they become a major issue. With these apps, you can record your data, find repair manuals, and manage multiple vehicles. In fact, the system is designed for repair shops, so you’ll get access to a lot of features that will help you maintain your car more efficiently. Gone are the days when you have to wait for something to be wrong with your car to scan it. Now with systems like the DS808, you can browse your car’s operations in real time to track its performance. Since you can freeze the information and save it for later, you can track how well your Honda performs over time and make adjustments accordingly. Also, you can work with your mechanic to see how you can improve things with routine and preventative maintenance. Overall, we appreciate the scope of the apps included with the scanner, as well as the menu layout of the tablet. This is a professional-grade system that will enable you to do a lot more than other, simpler scanners. Since the tablet doesn’t run the latest Android OS, it can be a little buggy at times. You may have to wait for a connection or reboot it on occasion, so keep that in mind. Otherwise, it’s an excellent scanner. When picking out the right OBD2 scanner for your Honda, you can either choose something that’s consumer or professional grade. In our opinion, it’s much better to pick the latter, since it will allow you to not only diagnose problems but keep your car in better condition overall. TOAD stands for Total Onboard Auto Diagnostics, and it really lives up to its name. Let’s see why. As with all OBD2 scanners, this software comes with all of the scanner codes you’ll need to figure out what’s going on underneath the hood when a light comes on. However, what sets this system apart is that you can find out what to do next. What we like most about TOAD is that you have access to a vast library of manuals and forums where you can discover the best way to correct an issue going on with your car. This way, even if you’re not a mechanic, you can fix minor problems and save money in the process. Although live scanning is becoming more and more prevalent with OBD2 scanners, they don’t offer anything else beyond saving and tracking the data over time. With TOAD, however, you can reprogram your Honda’s onboard computer to help improve engine performance. While you can’t go crazy and reconfigure your car from top to bottom, it does allow you to get more bang for your buck. As newer models come out, automakers will develop different codes. Thus, most scanners will become obsolete in a matter of years. Fortunately, you never have to worry about that with TOAD. You will be up to date for as long as you have the system installed, so buy it with peace of mind. Compared to other OBD2 scanners, this is the total package. With engine tuning and a comprehensive library of repair manuals, you can keep your Honda in excellent shape for years to come. Live scanning isn’t the only trend affecting OBD2 scanners. Many newer models allow you to check other systems in your vehicle, such as brakes, oil, and tire pressure. Unfortunately, TOAD doesn’t. While you can monitor everything related to the engine, it’s not as well-rounded as other scanning systems out there. So far, we’ve been looking at comprehensive, professional-grade OBD2 scanners. However, if you’re looking for something simpler and less mechanic-oriented, then you may prefer this model from Launch. Compared to other handheld OBD2 scanners, this model comes with a much larger and easy-to-read screen. The size helps because you can navigate through different makes and models to find the right codes, as well as access other parts of the scanner software. As we mentioned, many newer scanners allow you to monitor more than just your check engine light. With the Launch X431, you can check on any systems that are connected to your car’s ECU, which includes things like transmission, airbags, and tire pressure. Having access to multiple vehicle systems allows you to take a more comprehensive approach to auto care. This way, you can diagnose all kinds of issues and take the appropriate steps to fix them, rather than having to rely on a mechanic for everything. Even though this is a compact handheld scanner, you can still track live data from your vehicle. You can connect the device to your computer and save the information and look at it over time. Launch records the data in graphs and charts for easy visibility and understanding. Overall, if you’re looking for a relatively simple scanner that will help you manage your car’s internal systems, this is a great buy. It doesn’t have all of the extras of other models we’ve seen, but it’s perfect for most auto enthusiasts. The operating system of this scanner is not high-end, which means that it can be glitchy at times, especially when it comes to registering it. In rare cases, you may be unable to do so, which means that you have to replace it before you can use it. One thing that’s great about Hondas is that they are common enough to be included with every OBD2 scanner. Thus, you never have to worry about missing codes because your make and model are too obscure for the system. However, with this scanner from Foxwell, it’s geared specifically for Honda and Acura vehicles. This means that as long as you drive Hondas, you will have all the codes you could ever need. Plus, it comes with some bonuses as well. One of the downsides of using a generic scanner with tons of different brand codes is that it can take time to sift through them all to find the right one you need. However, since this model is only for Hondas, that means that you can work more efficiently. Also, it ensures that you’ll always have the most up-to-date codes for your vehicle. Even though this is a handheld unit, it’s sturdy and easy to use. It’s also well protected with a rubber casing, just in case you mishandle or drop it by accident. It comes with a decent-sized LCD screen as well, making it easier to read codes and find the information you need. As with other modern scanners, you can monitor all of the systems connected to your onboard computer. Thus, you don’t have to rely on a professional to diagnose what’s going on underneath the hood. Also, with live scanning options, you can see how each system performs and wears down over time. For the most part, we like having scanners that are specific to a particular brand (assuming that you maintain brand loyalty with each new car purchase). They’re easier and more efficient overall, which makes them ideal. Also, live scanning and multiple diagnostic options make this scanner even more useful. Compared to some of the other tools we’ve seen, this one is relatively slow. Also, the smaller screen may be a burden for some users, depending on how well you see on handheld devices. We’ve already seen the power and versatility of an Autel scanner, but if you’re looking for something a bit more consumer-grade, then you will appreciate this handheld model instead. It’s not as comprehensive, but it’s perfect for the casual Honda enthusiast. Although this unit is larger than most other “standard” OBD2 scanners, it’s still comfortable and easy to use, thanks to the rubber grip and ergonomic shape. Also, because it’s compact, you can keep it in your car at all times so that you’re always ready to check up on it. Since this is a simplified scanner, you don’t get a lot of bonus features with it. However, it does come with a comprehensive list of codes for all domestic brands, so you shouldn’t have any problems finding ones for your Honda. Also, the screen is large enough to give you a briefing on what the code means. With other “standard” models, you have to look that up separately, so it’s nice that it’s all included. Fortunately, since this unit is from Autel, you can monitor your car’s performance in real-time. Then, connect the device to the computer so you can graph the data and save it for tracking purposes. When it comes to generic handheld OBD2 scanners, this is an excellent choice for people who want to be connected to their car without going the extra mile and fixing every issue that arises. It’s reliable and simple enough for everyone. Some technical problems pop up if you’re using an older PC. Also, it doesn’t connect to Apple devices, so that can be a negative as well. 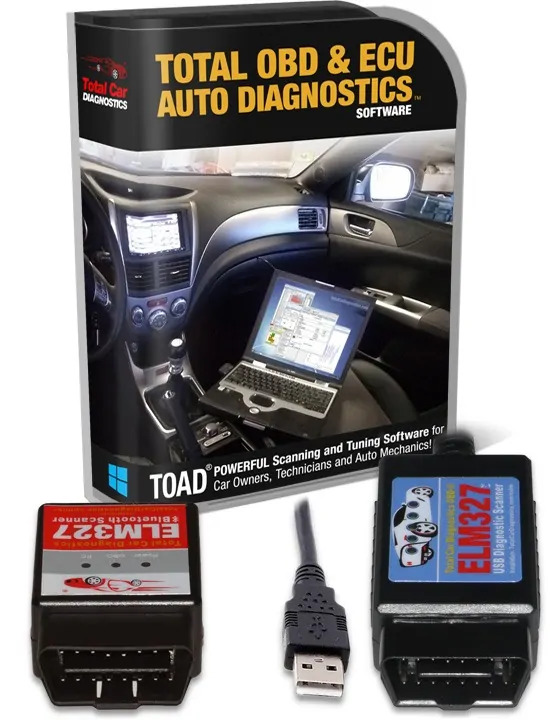 When it comes to OBD2 scanning, nothing compares to TOAD. For a hardware-based solution, the Maxidas DS808 seems to be the best choice, although budget conscious DIYers will prefer the Maxilink ML619 for several hundred bucks less, gets the job done just as well.